Noni Lavender Mist blends plant based hydrosols of Noni with essence of Lavender and a splash of warming Ginger. Lift your spirit and reveal your skin's natural radiance with this refreshing toner. 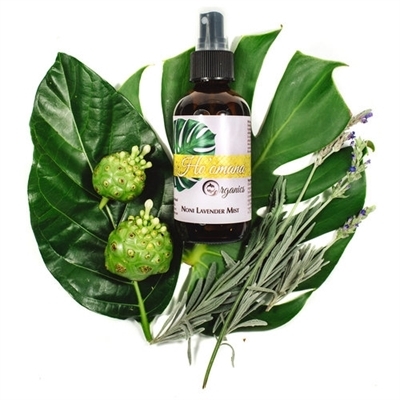 Noni Lavender Mist is also a healing after sun treatment.